08/19/2016 – Update v7.10 The Captain Is Dead DLC, Superfight DLC Update & New Control Scheme! Hurrah! Our latest DLC, The Captain is Dead by The Game Crafter, is now available! Attention Crew! The captain is dead! Our jump core is offline. There is a hostile alien ship off our port side. We need to get our jump core back online so we can get out of here. You have trained for this. You know what needs to be done. Go do it! 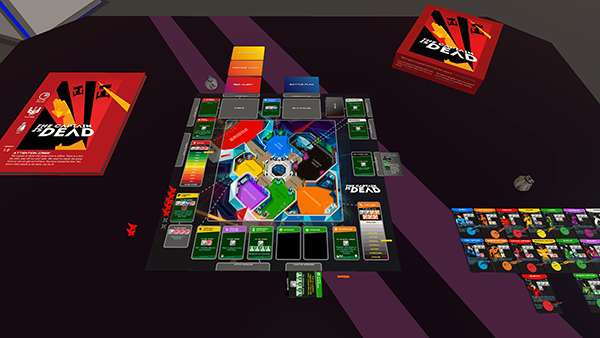 We’re also excited to announce that both the Yellow and Green decks have been added to our Superfight DLC for FREE! 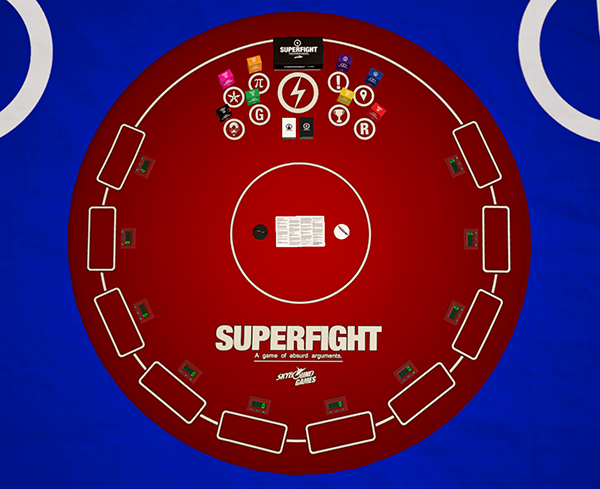 So if you currently own Superfight or plan to buy it soon, you’ll be getting these additional decks as a bonus! Read on below for some other great improvements! Co-op game for 2-7 players, Ages 12 and up. Only the host needs to own all our DLCs. Both the Challenge (Yellow) and Green decks have been added as a free update. The Challenge deck adds 100 new victory conditions for your fights. The Green deck adds 100 kid-friendly cards to Superfight. 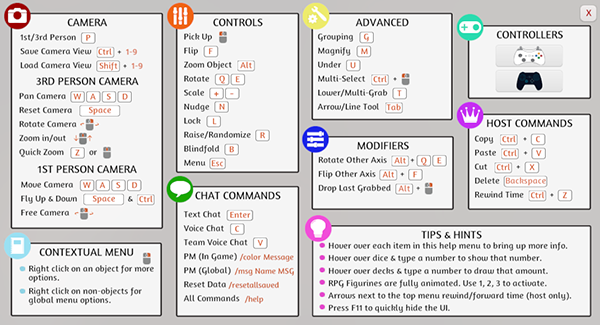 Updated Table texture with all deck info. Improved Control Scheme for better visibility. Different category sections, making it easier to find what you want. Tooltips added to all sections with more info on what each option does. 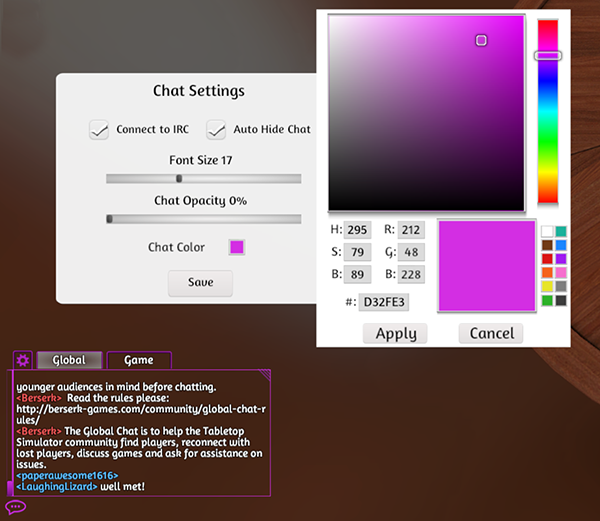 You can now change the color of your chat in the Chat Settings menu. This will change the chat background, chat icons and scrollbar. Using this along with the Chat Opacity will give you more control in how readable your chat is. Improved chat tabs text to be more readable and highlighted correctly. BBCode for colors now works in Notecards. You can now see players’ highlighted objects being manipulated by flip / rotate in games. Fixed issue with objects not always being picked up if grabbing on the very edge when highlighted. Fixed issue with pickup assist not working properly. Fixed issue with Camera twitching when resetting in certain scenarios. Fixed issue with cards going off screen when hovering over them when they were enlarged in the deck search.